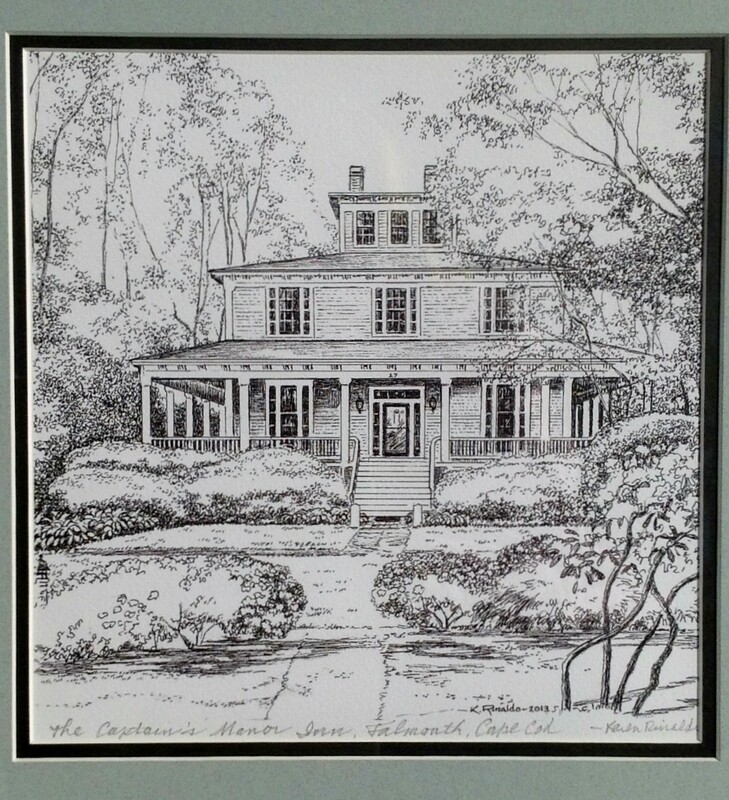 This pen and ink giclee Print of the Inn is extremely detailed and captures the unique architecture. 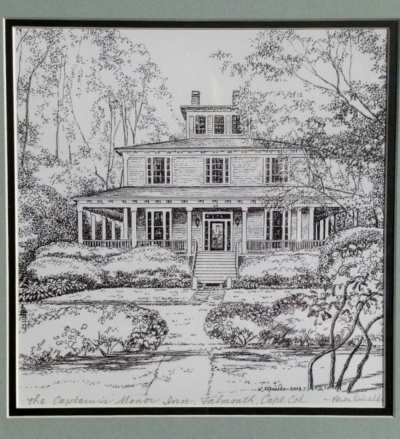 Built in 1849 by a wealthy ship captain for his fiancé from New Orleans it captures the classic elegance of a southern plantation style home with Italianate accents. 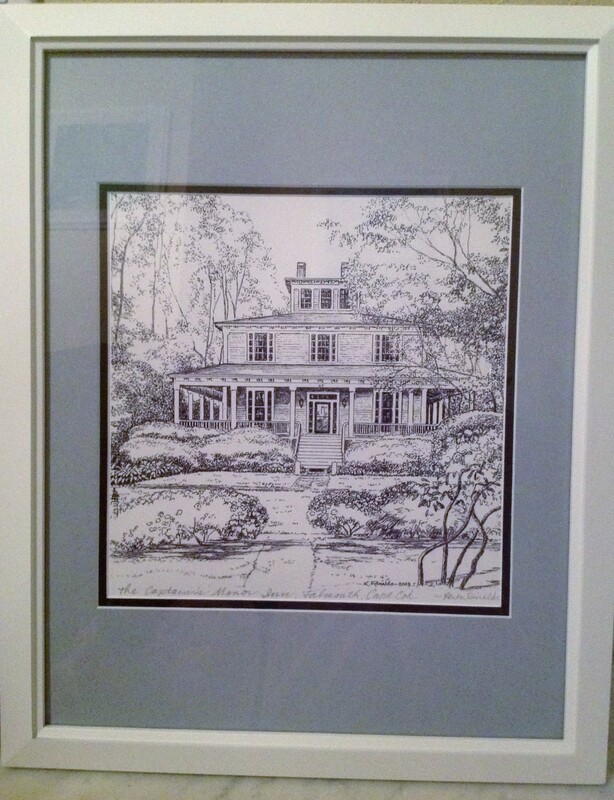 The wraparound porch is a key feature of the Inn. 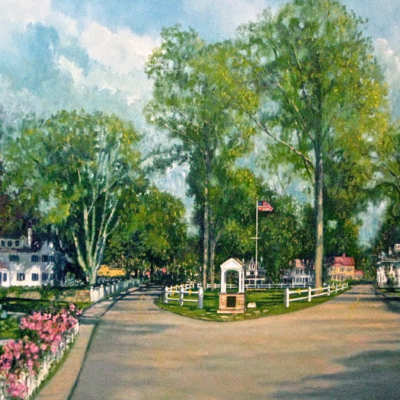 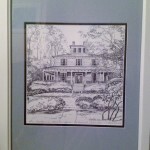 Artist Karen Rinaldo took great pains to capture the essence of the property. 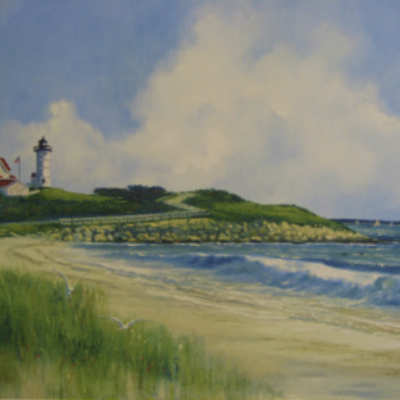 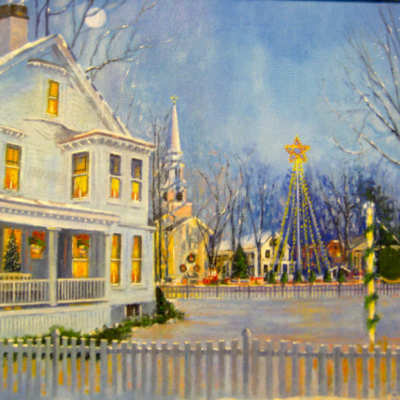 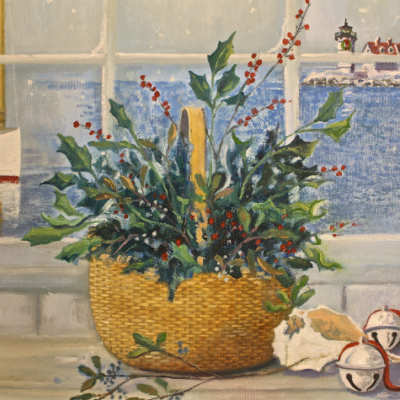 Karen has a studio right on Falmouth Harbor and is well known for capturing historic properties in Falmouth and beyond.